Just being “in contact” with one another through the Internet or social media has not been the solution to divisiveness around the world. 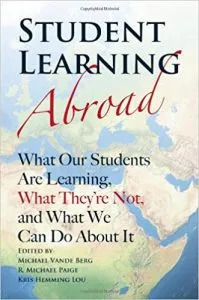 If you work in global education – outbound, inbound or multidirectional – a must-read book is: Student Learning Abroad: What Our Students Are Learning, What They’re Not, and What We Can Do About It. This book critically examines long-held assumptions about what students learn when studying abroad, and provides guidance on best practices for effective intercultural learning taken from current research by a range of practitioners. If we were to change up the target audience and examples, the book might be re-titled International Student Learning: What Our International Students Are Learning, What They’re Not, and What We Can Do About It. In my experience, International Student & Scholar Services (ISSS) offices are passionate about students, faculty and staff developing intercultural effectiveness. But it is a constant challenge to position this work within competing staffing, budgetary, and programmatic considerations. Our small ISSS team at Augsburg University has tried various ways to incentivize our international students to continue their intercultural development work and to identify the personal and professional goals to anchor their commitment. 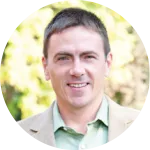 Upon learning about the Global Competence Certificate (GCC), we recognized immediately the potential of a dynamic, customizable online learning platform designed around current best practices and research on intercultural learning. The GCC provides the curricular fundamentals for the intercultural development journey, with the possibility of inserting additional modules relevant for different constituencies. Thanks to a collaborative grant from the Norwegian Agency for International Cooperation and Quality Enhancement in Higher Education (Diku) obtained by our Norwegian partner school, Volda University College, we are piloting the GCC during Spring 2019 with a small group of semester exchange students coming to the U.S. Students are encouraged to begin the GCC modules before traveling, and complete the GCC during their time at Augsburg while participating in a series of face-to-face facilitated sessions. We are hoping to expand access to the GCC over time with other areas on campus, and plan to use it in conjunction with the Intercultural Development Inventory (IDI). I would encourage any ISSS office that hasn’t considered the GCC to take a look and see if it might synergize similar work already in progress with international students and stakeholders across campus. The network responsible for the GCC is committed to “providing intercultural learning opportunities to help people develop the knowledge, skills and understanding needed to create a more just and peaceful world”. ISSS offices have an important stake in this mission, and simple “contact” between different cultural groups is not enough.